The ECMP3 is a remote control device used to monitor – visibly or audibly – and control the inputs and outputs of a Vector series transmitter. 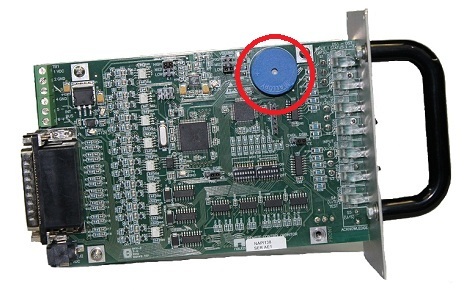 The ECMP3 may be interfaced directly to the Vector transmitter via the optional Site Interface board. Up to three external ECMP3s and one internal ECMP3 may be connected to the optional VR-Link remote control and monitoring unit via RS-485 serial communication. 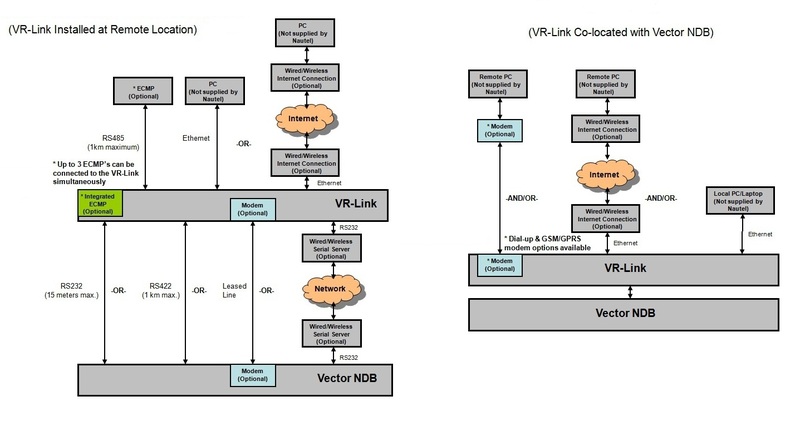 Simple remote control/monitoring of Vector NDB system. Vector transmitter timer enable control. 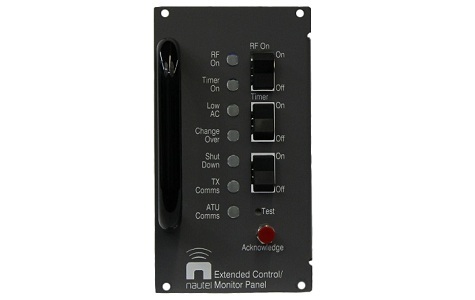 RS-485 interface to optional VR-Link remote control and monitoring unit. The ECMP3 provides economical, basic control and monitoring of a Vector NDB system for situations where more extensive control/monitoring is not required. LEDs provide a visual indication of alarm conditions. The Timer ON/OFF switch provides a remote control to trigger the programmable operation timer in the Vector NDB transmitter. An audible alarm is provided and is user configurable to activate from any of the status alarm inputs as either asserted or having changed state. An acknowledge button is provided to silence the recurrence of an audible alarm. A test button is provided to allow the user to verify that all visual indicators and audible alarms are operational. The ECMP3 is equipped with three levels of brightness for the alarm LEDs and three levels of volume control for the audible alarm. 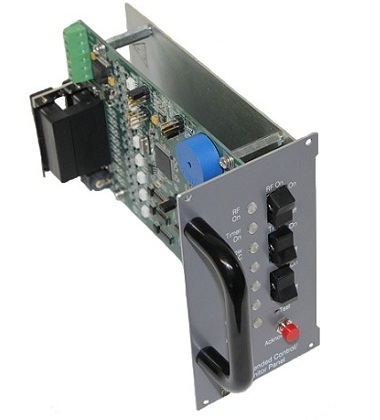 All control switches and alarm LEDs on the ECMP3 are user configurable. 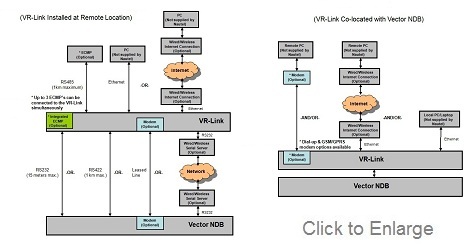 The optional VR-Link remote control and monitoring unit allows for connections with up to three external ECMP3s and one internal ECMP3 via RS-485 serial communication.